Whenever I’m asked what my favorite curriculum is, I didn’t even have to think for a moment. It is without a doubt Diana Waring’s History Alive curriculum. “Why” you ask? Well, the first answer that comes to mind is because my daughter loves it and wants to do it more than any other subject. She voluntarily reads the recommended books, works on projects and begs to listen to the audios almost every time we get into the car. We don’t get the same enthusiasm for maths or even science. I wanted to write this review because the History Alive curriculum has been the most wonderful resource we have discovered for home schooling. This is our eighth year of using History Alive and we have used it from grade 2 to grade 9 so far. Diana’s dedication to her topic, her friendly personality and empathetic, caring character certainly play a large part in the success of the course. 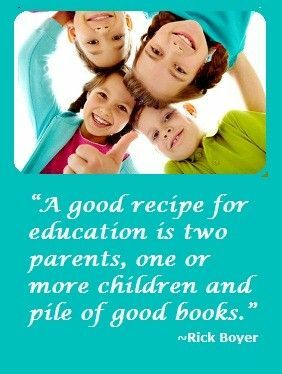 Diana has also written books to encourage parents on their home school journey. Her wisdom and experiences are a joy to read and her honesty is refreshing. She speaks with a humorous, personal and relevant style. So, what is so good about this history curriculum? In a nutshell, it is personal and lively. It is a smorgasbord of learning experiences laid out appetizingly on a table of fascinating, well researched teaching. It is not ‘curriculum in a box’, it is full of varied choices. It is not designed for each project to be tackled. If you tried to accomplish that you would quickly get bogged down. Actually, if you had a spare five years and your child was taken with a particular period, they would have a wonderful time immersing themselves in the subject. But, sadly, most of us (including myself) aren’t quite that liberated. Diana loves her subject and this passion is clearly conveyed through her audio talks. She has an infectious enthusiasm which one can’t help but catch. Even the non-history lover (that was me) is drawn in by a continuous stream of interesting, thought provoking tales and anecdotes about people and events from the past. Difficult or delicate subjects are not glossed over but treated tastefully from a caring, personal and Godly perspective. These are not merely legends, they are intimate life histories of real people with emotions and the potential to change the world for better or worse. Original source documents are often quoted which give an authenticity to the teaching. Diana challenges listeners and readers, not so much with questions, but rather with her compassionate attitude to be one of those people who makes a positive difference in our world. This bible-based, sequential history program covers time from creation until the Korean War. It looks at history from a Christian worldview and tells of God’s grace toward mankind throughout time. It is designed to be used with multilevel students ranging from grade 5-12 but has an accompanying activity book for younger children so that the whole family can learn together. Many years of experience, prayer and research have gone into the preparation of the learning activities. They are planned to encourage active rather than passive learning. There is a deliberate framework which allows students to listen, explore, discover, practice and use the knowledge. Each of these three periods of history are then divided chronologically into nine month-long units . You can be really flexible with the timetabling. Many people find that there are so many interesting threads to follow that they take two years or even more to get through the material. Each course is accompanied by three sets of audio CD’s. There is a Teacher’s Guide, Student Manual and Junior Activity Book. Parents may also join a lively yahoo discussion group (sharingdwaring) for people who use the curriculum. It is a place where you can ask questions and generally throw around ideas connected with what your children are learning in their history studies. Before I discovered this curriculum, I used to spend countless hours putting together unit studies and trying to cover all the different learning styles. It is just brilliant how Diana has done all the hard work for you! 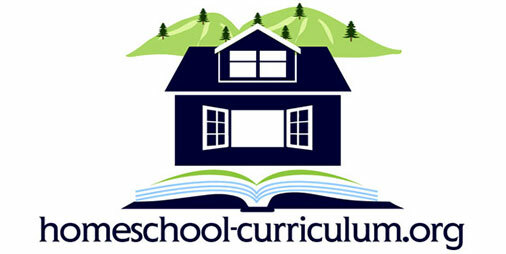 Because she is a home school mum herself, the curriculum is very family friendly. She understands that each child is an individual and has his/her unique way of learning. Each month is broken into weekly segments which emphasize a different learning style, this makes it easy to accommodate everyone’s preferences without the mum having to figure it all out. On top of that there are many choices for creative projects. Students are encouraged to express themselves through different styles of writing, dance, music, acting, cooking etc. Many excellent resources are reviewed for each unit. Another great thing about this curriculum is that it contains thorough articles and audios and therefore is not dependent on the purchase of other specific texts. This has been a great benefit in my eyes. I do like to try to get hold of at least a few of the recommended books but don’t want to spend too much money ordering a lot of books which have to be posted out to Australia from the USA. Diana also includes Dewey numbers for the topics to encourage students to find their own books in the library. There are often excellent substitutes to the recommended reading available. If like me, you hated history at school because it was a load of dry facts and dates about wars and long dead rulers, you may enjoy learning along with your children about all of the fascinating and amazing people who are our ancestors. There is a real sense of digging up the mysteries of our ancient family tree. This curriculum offers the opportunity for kids to learn a very in depth and sometimes daunting subject at their own level, with a focus on enjoyment, choice and application of knowledge. So, if you are looking for a history curriculum which can be used as the core of your homeschool and is infused with a God perspective, then this may be just what you are after. There are not enough stars on any scale for me to rate this material – definitely at least 10 stars out of 5! It has been a joy and blessing to our family and we have shared the audio cds with extended family, fellow homeschoolers and other friends who have all been enthralled by them.